NV Energy recently issued the following announcement. NV Energy filed its 2017 Renewable Portfolio Standard Annual Report with the Public Utilities Commission of Nevada (PUCN), showing that the company achieved a 25.5 percent renewable energy and related credits level in northern Nevada and 23.1 percent in southern Nevada, for a combined weighted average of 23.8 percent. This is the eighth year in a row that NV Energy has exceeded the state's renewable energy requirement, which currently sits at a 20 percent level. Separate from this legislated mandate, NV Energy has set a goal to double its renewable energy portfolio by 2023. The most recent additions to NV Energy's renewable energy portfolio included the 50-megawatt Boulder Solar 2 project in Eldorado Valley southeast of Las Vegas and the 179-megawatt Switch Station 1 and 2 project located in the Dry Lake Solar Energy Zone north of Las Vegas. NV Energy's Senior Vice President of Renewable Resources Dave Ulozas noted that NV Energy has been providing renewable energy to customers since the 1980s, and the most recent renewable energy rankings by the U.S. Energy Information Administration puts Nevada second in the nation for geothermal resources and fourth for solar energy. "We are proud to continue to help expand Nevada's growth in clean energy, which benefits both our customers and Nevada's strengthening economy," he said. "We've been able to accomplish this while keeping electricity rates about 15 percent lower than they were nearly a decade ago, and we anticipate adding a considerable amount of new renewable energy at similar or lower rates than we have in place today." Currently NV Energy customers benefit from 46 separate renewable energy projects in Nevada, which include 19 geothermal plants, 16 solar fields, six hydroelectric resources, four biomass or methane gas facilities and one large wind farm. Five additional large solar fields are being constructed or developed for NV Energy customers, which are located in both northern and southern Nevada areas. 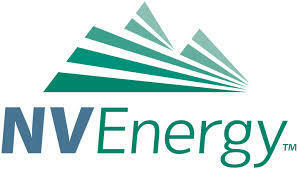 Want to get notified whenever we write about NV Energy ? Next time we write about NV Energy, we'll email you a link to the story. You may edit your settings or unsubscribe at any time.